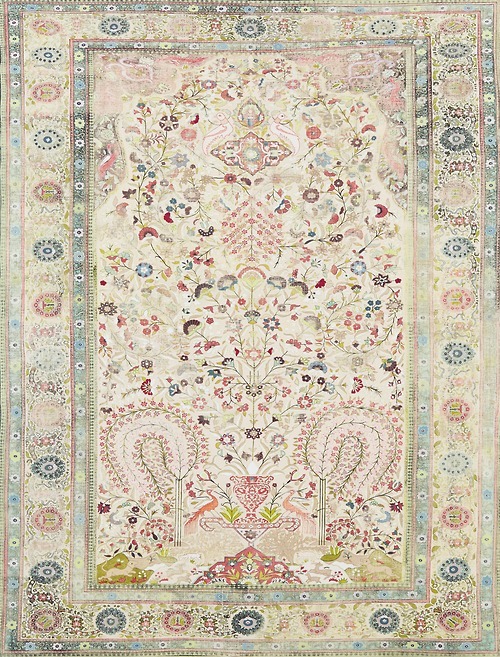 Kour Pour is a British-born Iranian artist living in L.A. and creating the most beautiful paintings of Oriental carpets. 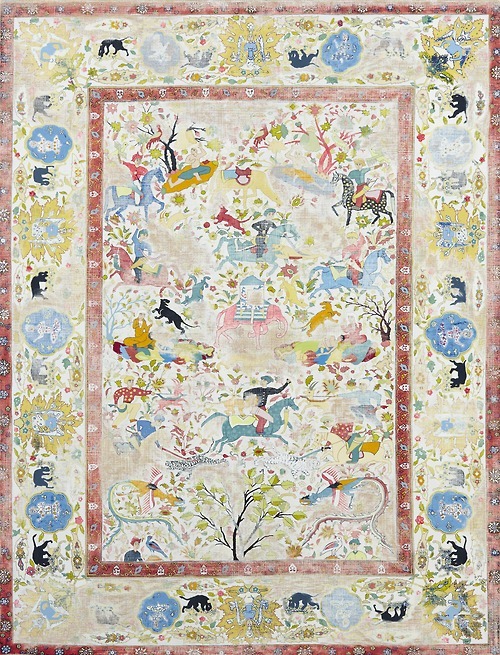 Each painting is based on a specific carpet that the artist finds in auction catalogues and at exhibitions. One can see the artist’s attention to detail in the illusion of warp and weft, created by priming the canvas with gesso applied by a broomstick. The artist then applies a silkscreen image of the chosen carpet onto the canvas and paints in the details, including the appearance of ware. 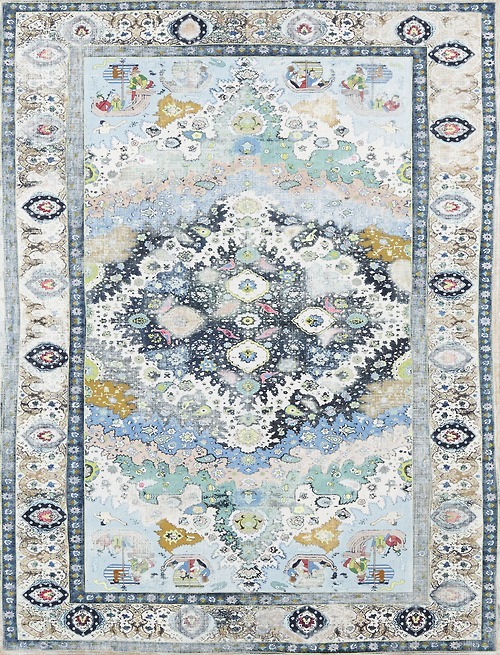 The colors and imagery in the artist’s work are stunning, but what I appreciate most about his work is the attention he brings to decorative rugs as an art form. 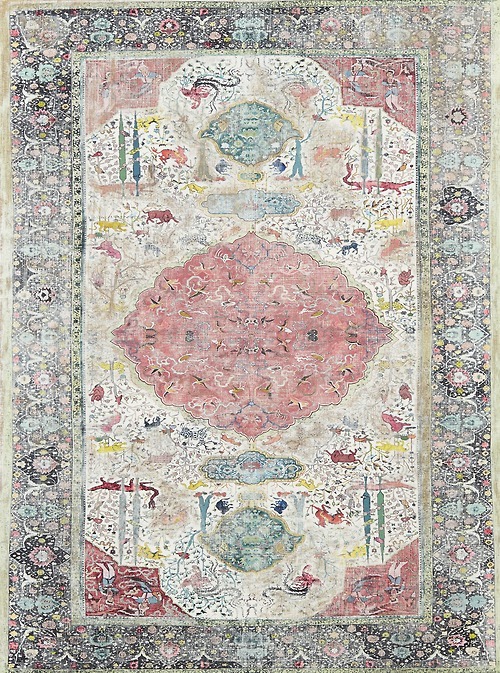 Through his paintings Pour not only acknowledges the work of his father– who, like the artist, meticulously adds who through bright pigments and painstaking effort brings an old object back to life– but also the work of the artists who designed and wove the original carpets. Too often decorative arts are over looked as mere ornamentation. Pour’s paintings takes these works of art off the floor and onto center stage.